Yesterday was my regular day in Lektiehjælpen i Mjølnerparken, you might have forgotten, since it’s been a while since I wrote something about my work there. I know that it wasn’t to be taken too serious, and that I overreacted by hearing such a misguided statement, but I beg to differ. It really doesn’t get truer to Islam than Maâllem Mokhtar Gania & Gnawa Sufi group, and since Islam Muslim translates to “devotee”, a lot of dancers qualify for the title of being real followers, at least in my book. On September 29th, there will be Sufi Ensemble performing in Stefanskirken, Nørrebrogade 191. The concert with Maâllem Mokhtar Gania & Gnawa Sufi group was fantastic, and I hope that this will be on par, even though the venue seems to be less suited for dancing (like in not at all – can you dance in a church? I might just give it a try). ps. One of the children also handed me a copy of “لوسر دمحماللها Muhammed, Guds sidste sendebud” (links to a PDF) – I’ll read it – even though I’m sceptical of the content. The booklet is available in most major languages from Islamhouse.com – and now seems like a good time to study الإسلام and the القرآن again. pps. The quote below is true to Islam, again in my book ;-). balay’ man ‘ʔaslama wajhahuw lil:ahi wahuwa muḥsinunm falahuwʔ ‘ʔajruhuw ʕinda rab:ihiy wala’ xawfun ʕalayhim wala’ hum yaḥzanuwna (I hope this was correct, I’m not proficient in Arabic). 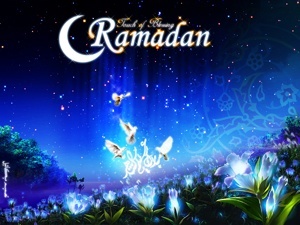 Salaam Aleikum and happy Ramadan. Sunna of the Prophet Muhammad (peace and blessing of Allah be upon him) is the way to Allah, and he never danced. The Prophet (peace and blessing of Allah be upon him) said there is no evil that I have not warned you about and no good that I have not told you about (Sahih Bukhari). Sufism is not an issue the extreme of any method leads to astray which the Prophet also warned about saying estremism destroyed nations before you. Soo do not go down this path (not sure of the wording of the last sentence). I hope this is clear. May God show us truth as truth is and help us to follow it, and help us to show falsehood as it is and help us to refrain from it. May God bless all of us and guide us and keep us on the straight path. Wait a minute, isn’t Islam derived from Salam, meaning peace? so how does islam mean devotee? Thank you so much for your comment…And you’re right, I mixed up some terms here, and thank you for pointing my mistake out. Muslim means “devotee” or “one who submits to God”, Islam means “the path” or “submission” .